A recent seminar organized by the International Growth Centre (IGC), in collaboration with the State Bank of Pakistan (SBP), Pakistan Business Council (PBC) and Institute of Business Administration (IBA), brought together key stakeholders from the spheres of knowledge creation and policy formulation. The purpose of this gathering was to build bridges between academia, government, and industry leaders for developing and influencing locally-rooted policies for industrial development. The IGC provides an annual budget to each of its 15 member countries to carry out innovative and high-impact policy research. In Pakistan, IGC has helped create a dissemination platform called the Consortium for Development Policy Research (CDPR), which provides an integral link between researchers and policymakers. Collectively, IGC and CDPR have successfully engaged with policymakers in Punjab and Khyber Pakhtunkhwa (KP) via a number of completed and on-going research projects. Through a collaboration with SBP, these organizations are now expanding their advisory and evaluation support engagements with government policymakers and other stakeholders in Sindh as well. IGC’s recently concluded seminar in Karachi provided important insights in how research work can engage with policymaking in key areas of economic development. Ehsan Chaudhri (Carleton University) presented a study carried out with SBP members on forecasting and policy analysis and the role of government and external sectors. This study explained the Dynamic stochastic general equilibrium (DSGE) model which would help in forecasting key macroeconomic variables and enable accurate policymaking. A study presented by Abdullah Tahir (SBP) on robust quarterisation of GDP and determination of business cycles for IGC partner countries revealed that gathering and utilizing quarterly GDP data, as compared to annual data, is more accurate, timely, and comprehensive and provides real time data on business cycles. This can be leveraged as a policy tool to help smoothen business cycle crests and troughs. These models lie at the core of State Bank’s independent monetary policy. It has been used as a guideline during monetary policy decision making processes. Saeed Ahmed (Chief Economist SBP) asserted that through these results, SBP helps provide firms a nurturing macroeconomic ecosystem, which in turn also helps firms estimate their future returns. In a study by Ali Choudhary (SBP) in collaboration with Pakistan Bureau of Statistics (PBS) on management and organizational practices of firms across Punjab, Punjab’s firms are only half as advanced as US firms in terms of management practices. This negatively impacts their performance. Aliyah H. Khan (Professor, Quaid-e-Azam University) contended that firm management is an umbrella that pushes or enables production. For this purpose, this project is going to be scaled-up to other provinces, including Sindh. However, Asif Bajwa (former Chief Statistician, PBS) believes that the Sindh government is reluctant to allow this research to be conducted in the province. Dr. Syed Hasan(LUMS) and Usman Khan’s (LUMS) study on Punjab’s rural, non-farm economic activity gathered and digitized data on the informal economy in all categories of economic activity, excluding manufacturing, for which data already existed. This research served to fill a data gap to benefit researchers and policymakers. Carrying this study forward, the total factor productivity (TFP) for Punjab’s small and cottage industries was identified. It was shown that in areas with high incidence of poverty, firm productivity was also low. Constraints to Punjab’s small manufacturers included input costs, access to energy, credit, and markets, and governance issues, such as corruption, and high taxes. Sindh’s rural development can be mapped along the same categories of economic activity to help strengthen public policy in this area. Studies presented by Dr. Turab Hussain (LUMS) and Dr. Ijaz Nabi (Country Director, IGC) shed light on Pakistan’s garments sector – the highest contributing sector to exports. It was revealed that Pakistan’s garments fare poorly in global markets. Pakistan’s share in world markets is minimal in high-end products thereby garnering low demand and low revenues. They proposed that garments have tremendous potential for creating jobs and generating exports for Pakistan, but must take advantage of its lower labour costs compared to China, which is looking for investment opportunities worldwide through relocation. Furthermore, 1% of reduction in China’s exports could lead to 8% employment generation in Pakistan. However, without regulating its overvalued exchange rate in lieu of depreciating currencies of competitors, Pakistan’s manufactures would remain uncompetitive, especially in conjunction with the energy constraint that the industry faces. Asma Khalid (SBP) postured that dwindling garment export revenues can be improved by reducing the focus on product diversity and instead focusing on carrying the product through all the production phases till the end product. This will add value to the products and earn higher revenues. It has become crucial for Pakistan to begin importing yarn instead of cotton, which is less expensive than its domestic production. Also, transitioning to the production of artificial or technical fibers is critical for securing larger market shares worldwide as demand for cotton is dwindling. It was mentioned by Ehsan Malik (CEO, PBC) that the extant tax burden on manufacturers – estimated at 58% of total collection – encumbers productivity, as well as harms the country’s balance of payments and overall employment creation. Import substitution is necessary to strengthen the domestic market as the market has been flooded by imported consumption goods. Furthermore, the trade deficit with China has increased five-fold in recent years due to the discouraging tax policy on exports. Above all, Pakistani firms lack key competitiveness in exports with regional counterparts. Atif Bajwa (former CEO, Bank Alfalah) considered that the cost of inputs, poor management practices and low human development capital, as well as inconsistent government policies are key hurdles. Domestic private sector investors are needed at a large scale to achieve sustainable growth through involvement in policy making, particularly to boost SME’s. The commercial banking sector, particularly infrastructure banks, need to be geared to sustain long-run firm growth. Saeed Ahmad (Senior Research Fellow, Collective for Social Science), advised SBP that it holds the mandate of the public therefore must also focus on employment, fiscal and tax policies, instead of advancing its inflation targeted monetary policy. Aliyah Khan and Asad Saeed in separate panels established that innovation and technological upgradation through stakeholder collaborations based on current and future research can be used as blueprints for designing resilient pro-growth economic policies for Pakistani firms. According to Waqar Wadho’s research (Lahore School of Economics), technological upgrades and product innovation should be accompanied by process or organizational innovations in firms so that the labour force stays abreast of new production techniques and does not lose its productivity. Finally, Hasaan Khawar, (Fellow CDPR and independent researcher) contended that firms would be able to leverage opportunities brought by CPEC depending on the commercial viability of individual projects, state’s capability to identify and support winner industries, and whether domestic firms would be able to withstand added competition. 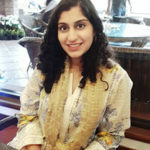 Sharmin Arif is a Communications Associate at the Consortium for Development Policy Research (CDPR).